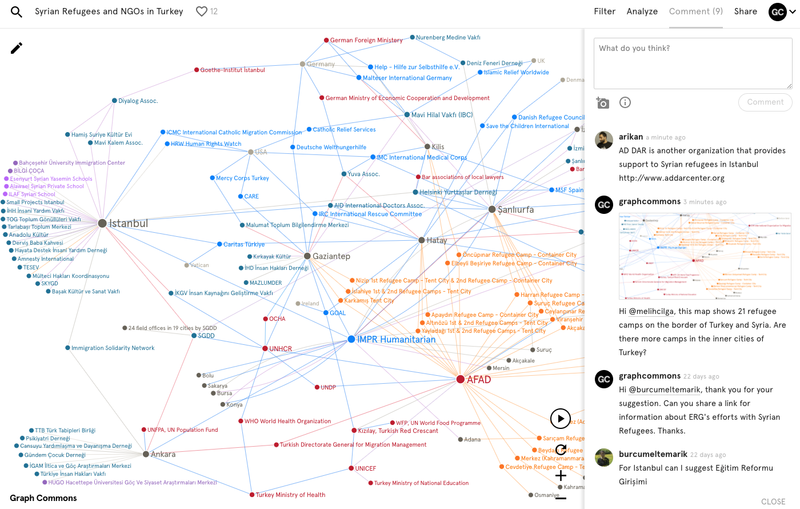 Graph Commons is a collaborative platform for mapping, analyzing and publishing data networks. It empowers people and organizations to transform their data into interactive maps and untangle complex relations that impact them and their communities. Whether you use data mapping for investigative journalism, archival exploration, or content curating you’d want to have your audience engage with your published data. 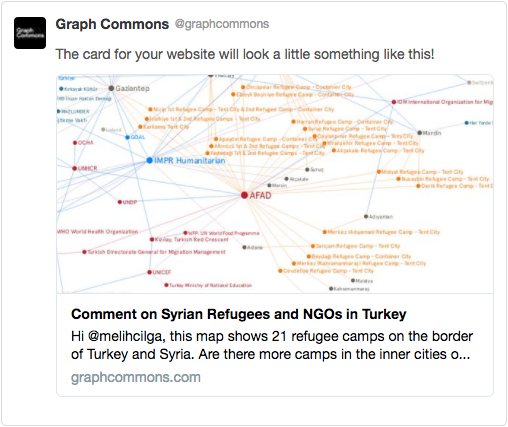 The goal of Graph Commons is to support quality data publishing, in addition to intuitive mapping and analysis of data networks, so we hope that this new sharing feature flourishes meaningful discussions around your work. 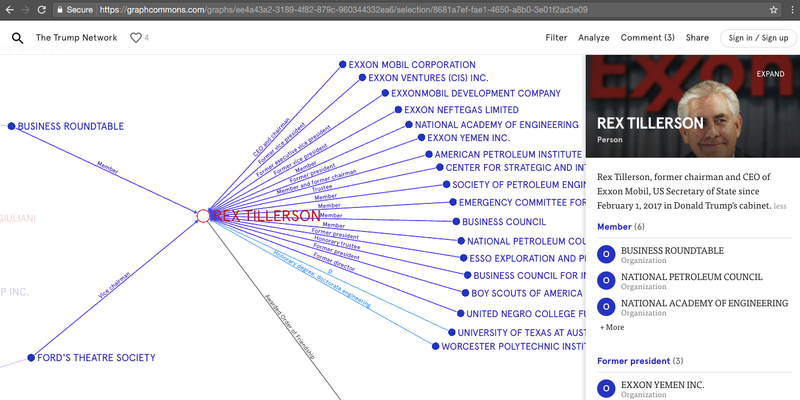 As of today, you can add visual annotations to any public graph, deep-link to your findings from rich social media posts, and make high resolution prints. Select an area on the graph and add your thoughts. Give feedback, share links, and generate new discussions. Tip: In a comment, use # to reference nodes and @ to mention members. Graph comments, listed on the right bar, are commonly used for giving feedback, sharing links, and flourishing new discussions. Comments with captured images are useful for annotating the graph. Again, you can mention (@ sign) other users and provide linked references (with # sign) to nodes on the graph. Download your selection or the entire graph as a PDF file to make beautiful posters. It enables you to print high resolution images, so a giant graph that does not fit to your LCD screen can be printed on a large canvas. Tip: Open the PDF file in a design tool to modify for your needs. 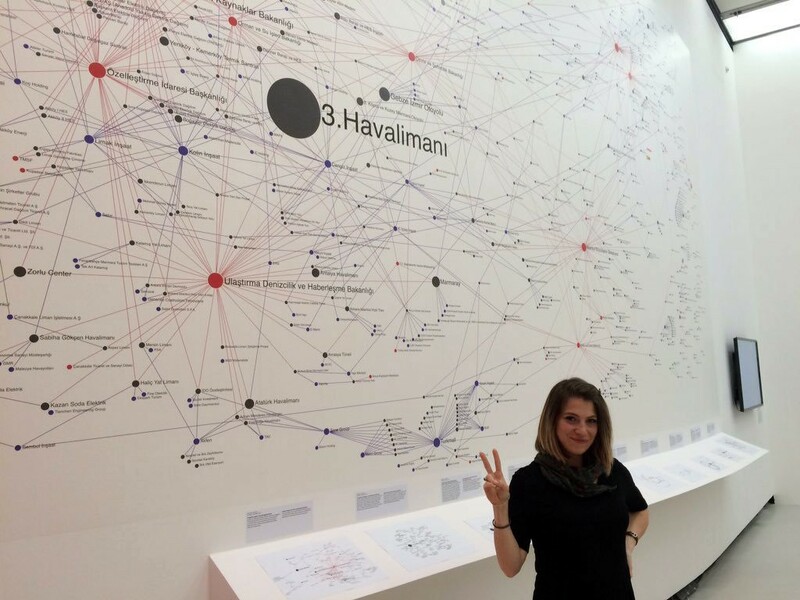 Photograph of the Networks of Dispossession wall print at the MAXXI Museum in Rome. The print file is generated using Graph Commons. Select a node and share its link. Your audience will directly land on the shared node highlighted on the graph. Tip: Shift+drag to select a group of nodes. Deep-linking allows you directly reference any node in a graph using its permalink, which is displayed on your browser address bar when you click on a node. 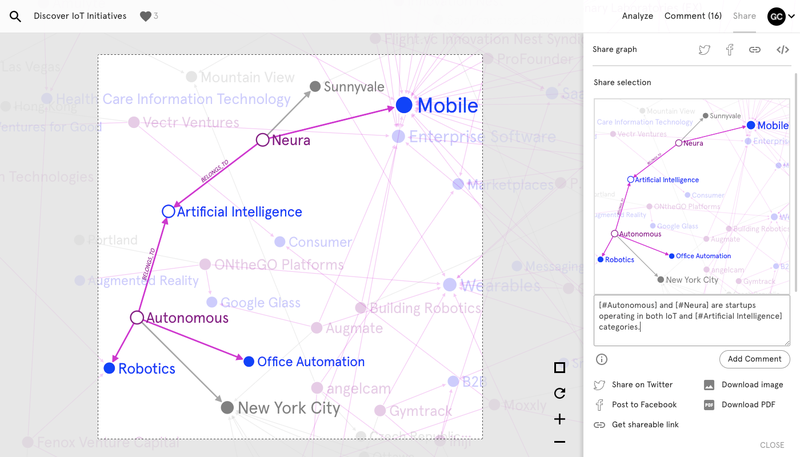 Instantly share a compelling argument supported by graph data, automatically displayed as a rich social media card on Twitter and Facebook. Tip: Embed an interactive graph on Medium by pasting its URL into your post. We hope the new sharing experience generates meaningful discussions around your data maps. We welcome feedback on your experience, it will help us refine the platform further for everybody. Please send all suggestions, questions and comments to contact@graphcommons.com we’d love to hear from you. Follow @graphcommons on Twitter for a daily dose of network arts and sciences, read our publication on Medium, join our Slack chat channel for discussions.